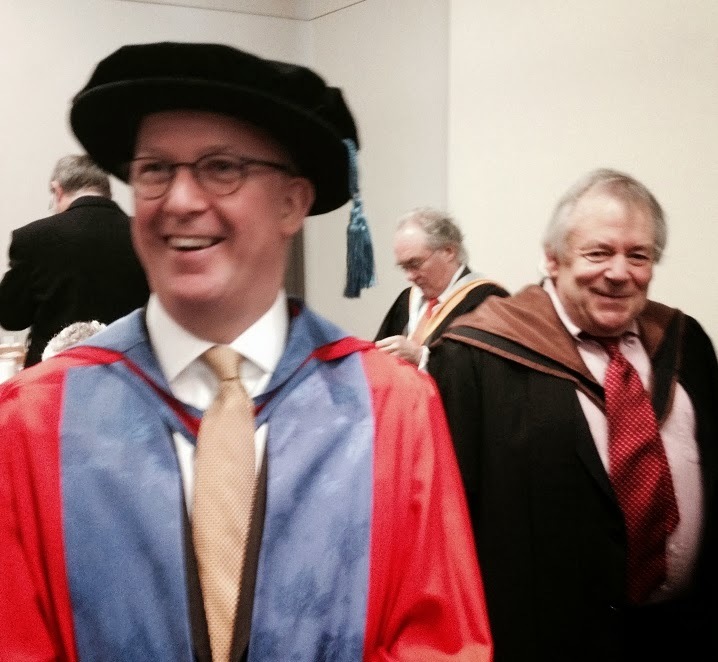 On Friday morning last week, (14th February), I had the tremendous privilege of receiving an Honorary Doctor of Arts from the University of Brighton for services to design. I was presented to the audience of around 1000 under and post-graduates by Professor Jonathan Woodham, (right in picture), Director of the Centre for Research and Development and received my scroll from the University’s Chair of Governors, Lord Mogg of Queen’s Park. It was a very remarkable day with great kindness and hospitality shown by the University - including a luncheon in the Grand Pavillion with my own guests.